I'm proud to present some of my highest quality of coding to date. a Hybrid between the ring3 and ring0 area in your virtual ram allows us to Cheat undetected like never before. Trigger Bot 2.0 - Total Overhaul of Triggerbot system, now with an option to shoot through smoke, windows and more! User Leaderboards (<link removed>) - See who's the best ULTRA Player. More details, media available soon!! 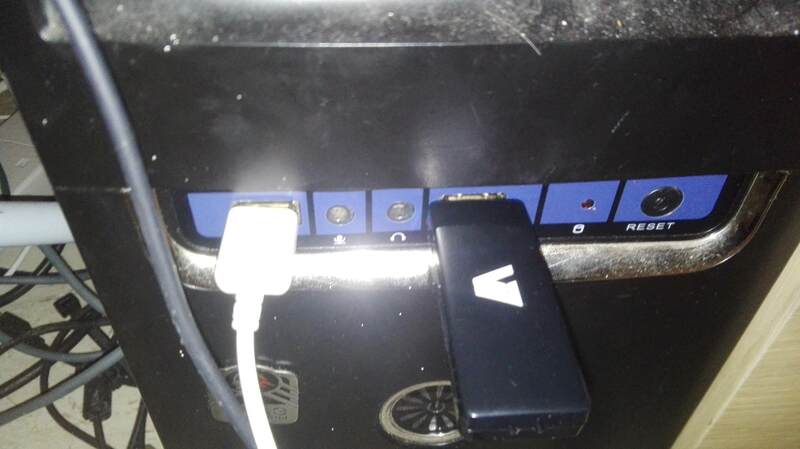 As we pass through the early access and almost have reached the finalisation of our software, I'd like to share with you the newest USB design I've just received via shipment. All sticks come with 256bit file encryption & premium software packages as a bonus. They're a minimum of 8GB in size so it's even possible to request a custom copy of Windows with just Steam & Ultra Installed. We are offering the option of 2 models of USB, same specs different purpose with 2 configurations available for Each. Model 1: Matt Black W/ slidable USB for use on Tower PC's features a Matt Black design, regular sized 8GB USB with military grade 256 encryption + extras. This model is designed for Home Users or people who intend to use the stick on Tower PC's that are usually black in colour, to blend in. Model 2: Light Blue Ultra Micro USB (Same 256bit encryption & 8GB space) features a ultra compact USB that can literally fit inside a tower or laptop without showing, Size wise it is around 25% smaller than a regular USB receiver for a Wireless Keyboard or Mouse it comes also with a free Keyring so you can carry your cheat wherever you go. Stickers & Merchandise also included! We will be shipping out the first USBS for Early Access this week, just awaiting stickers arrival!! The box will be revealed soon! Last edited by DIV7NE; 3rd June 2018 at 20:20. Is this the new faceit client working cheat? 99 euro for life time?! In reply to you all, this is the hard work of almost 10 years of software development, learning, progression,studying, psychologic research, reverse engineering many applications and much more. This will revolutionize PRIVATE cheats - Private AKA not easily buyable. 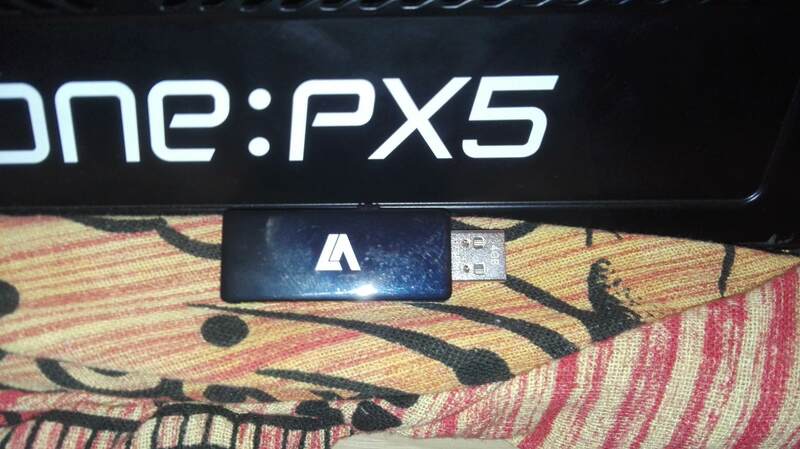 P7 Ultra will be distributed physically inside of a custom USB stick. Yes and it will be sent out with limited edition USB sticks which include installer and updater and a special P7 account. Custom cheats are still the most secure option but this is giving that level of security to people who wish to support our cause. There will be no discounts and the price will be increase to €215 after Early Access has finished (Christmas time) . Early Access includes a Digital Version & a Hard Copy (USB + Extra). After Early Access only physical copies will be available. Security - By selling the software in HARD COPIES (Inside of a USB) Security Verification is required to purchase as well as an Address. We check this information against a database of known Anti-Cheat supporters and fraudulent users, the database is constantly expanding and automatically blocks many people who are "pro-anti-cheat". 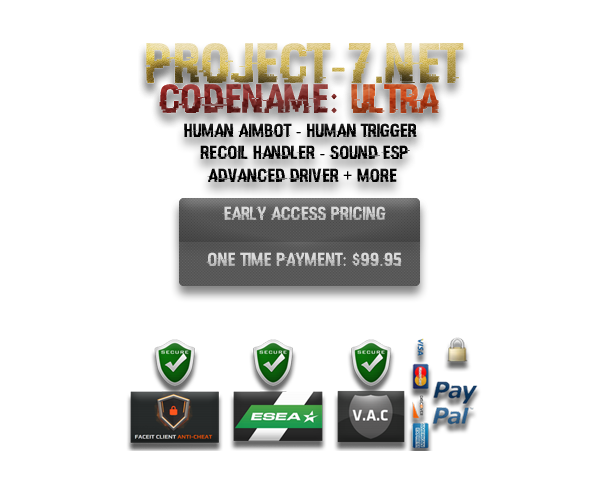 P7 Ultra AKA Project CS GHOST Early Access Launch Date is Oct 26 - Pre purchases open this weekend alongside some killer promo media open this weekend. Purchase Early Access and Destroy our new Cheat Leaderboards ( <link removed> ) which are coming soon. If you're interested but do not want to use software in Early Access be assured by Christmas 2017 the cheat will be fully operational with all features as advertised working correctly. Early Access lets us listen to our customers. We take clients feedback ultra seriously and need it to make the CSGHOST Project-7 ULTRA cheat the most revolutionary CS:GO cheat available on the market. Last edited by Josh; 16th October 2017 at 16:30. We will have multiple designs and the usb slides in and out and is attachable to a keyring.